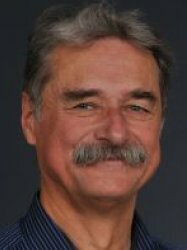 Leszek Frasinski is an experimental physicist in the Blackett Laboratory Laser Consortium since 2007. His research seeks fundamental understanding of the chemical bond dynamics. He exposes simple molecules to very intense, very short laser pulses and detects molecular fragments in particle spectrometers. After his doctorate in 1980 at the Jagiellonian University in Kraków, Poland, he came to the University of Reading to work as Research Assistant with Mike Tinker on spectroscopy of molecular ions. In 1984 he was appointed a Lecturer at Reading and joined Keith Codling in synchrotron radiation studies of molecules at the Daresbury Laboratory. In 1986 Leszek Frasinski pioneered probing molecular dynamics with intense laser pulses. He performed the experiments at the Rutherford Appleton Laboratory, Saclay Laboratory near Paris, FOM Institute in Amsterdam and Lund University in Sweden. In Reading he was appointed Reader in 1995 and Professor in 2006. Currently, he studies ultrafast processes in atoms and molecules with intense x-ray lasers at the DESY research centre in Hamburg and SLAC Accelerator Laboratory in California. Leszek Frasinski lives with his family in Woodley, Reading. He enjoys cycling, skiing, sailing and paragliding.